Our restaurant comfortably seats up to 40 people, although we never fill it that full. 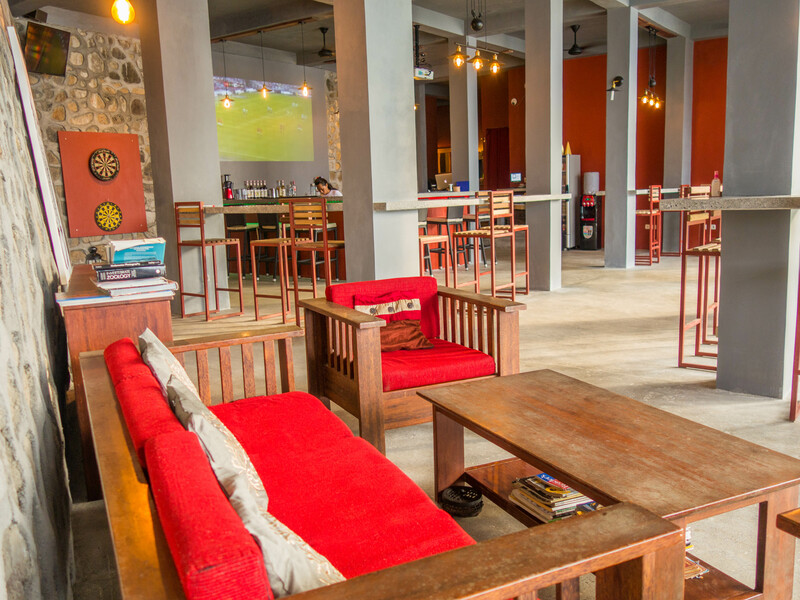 We serve most meals buffet style in the open air restaurant, rolling through various Asian dishes and then also adding in pasta, pizza, burgers and other items. 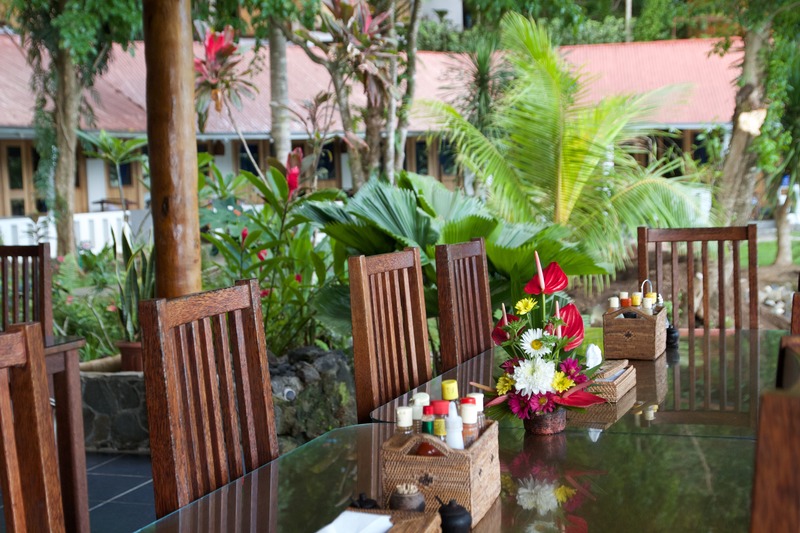 Since we are a dive resort, we don’t offer seafood or fish on our menu unless our guests request it. 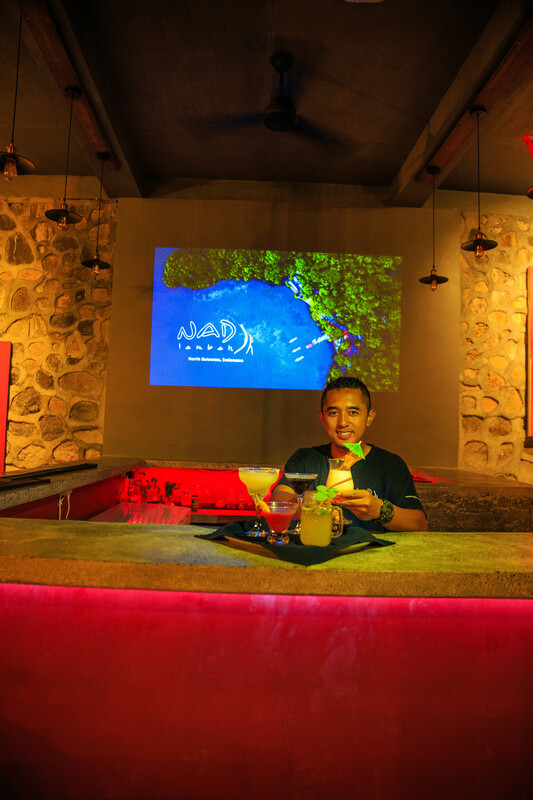 In August 2017, we opened our new bar as a great addition to the resort! 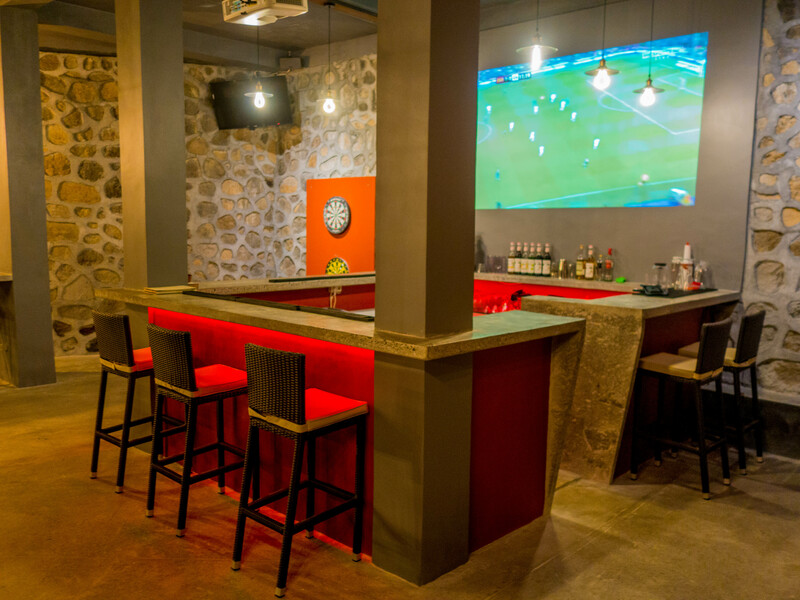 The bar is equipped with lots of power sockets and modern projectors and TVs, making this the perfect space to edit your pictures or watching presentations. 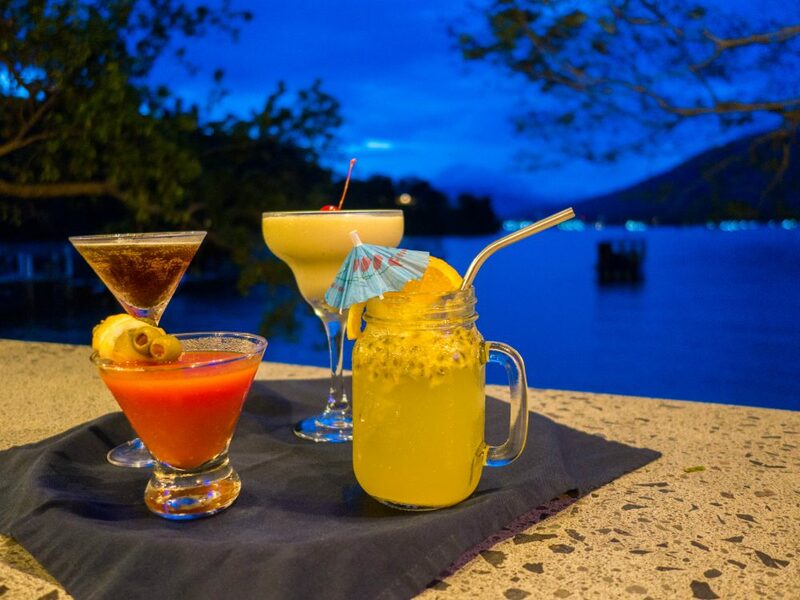 Enjoy the beautiful sunset overlooking the Lembeh Strait together with a cold beer, a glass of wine or delicious cocktail.